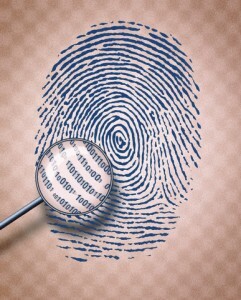 Designated California Live Scan Fingerprinting Centers (CAL-LIVE) provide ink card fingerprinting services. FBI Fingerprint Ink Card (FD-258) is commonly used both national and international agencies in conducting criminal background checks on their applicants. All of our fingerprint rollers are certified and authorized by the Department of Justice (DOJ) and the Federal Bureau of Investigations (FBI) to provided fingerprinting services. Applicants are encouraged to contact us at (888) 498-4234 to assist in finding one of our ink card fingerprinting centers. We may be even helpful in trying to assist in finding a local law enforcement agency if we are currently not in particular area. CAL-LIVE continues to strive in providing convenient fingerprinting locations that are easily accessible applicants (employees), with great understanding of staff personal may be unable to travel. For this reason CAL-LIVE also provides mobile ink card fingerprinting services (“Mobile Live”) that can come to directly to an office and/or business location. We have found that the majority of the requesting agencies (employers) require that the applicant get fingerprinted on at least two (2) ink cards. The reasoning varies but typically it a practice the helps reduces the possibility of the fingerprint applicant from coming back and getting fingerprinted a second due to the first ink card being labeled as “damage” and/or “poor quality prints”. FBI can take as long as 8 weeks (or more) to process an applicants fingerprints, being notified by the FBI that your ink card was rejected and having to re-submit another after waiting all this time can be frustrating to say the least. Initially submitting two (or three) ink cards dramatically reduces such outcomes. We provide single point of contact for all of your Live Scan needs. Talk to a live person today, Contact us at (888) 498-4234. In certain circumstances, we can also make arrangements to travel to office locations out-of-state. Our California Live Scan Centers uses FBI and California DOJ certified high tech devices that allows digitally scanned fingerprints and related information to be submitted electronically to DOJ within a matter of minutes; thus allowing criminal background checks to be processed usually within 72 hours. California Live Scan services are the tools for DOJ’s automated service for criminal history background checks required as a condition of employment, licensing, certification, foreign adoptions or VISA/Immigration clearances. Our Live Scan Centers both technique and technology uses the same type of used by local, state and federal law enforcement agencies in electronically capturing fingerprints. Thus the need of past traditional methods of ink and paper is becoming less and less utilized. Live Scan is now the primary tool in the recognition of human individuals. Everyone at our California Live Scan centers are certified fingerprint rollers. Contact us today to learn more, (888) 498-4234.